We’ve heard about many Linux that run on embedded platform today I came across many Windows powered gadgets that I though was never existed.Here are a few of them. OK.What is special about this one?Sure it looks cool, it works nice too.Ovation iX is a Windows CE powered gas pump that lets you download MP3s, purchase coffee, and even check traffic conditions.Customers can also print customized coupons or watch full-motion video commercials on its 10.4″ display with built-in iX Media technology. Psion Teklogix is shipping a pair of rugged, vehicle-mount computers targeted at harsh warehouse and cold storage environments. 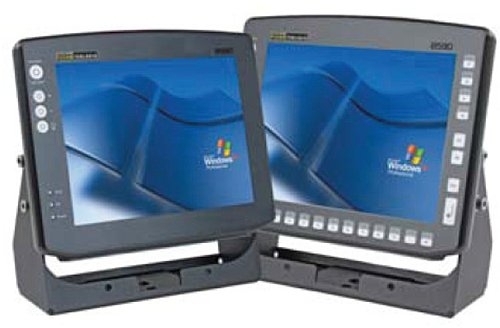 The 8580 and 8590 run Windows XP Embedded and include a built-in environment controller that “ensures adaptability to changing conditions,” according to the company. Ampro has expanded its line of industrial panel PCs with a 10-inch LCD model. The PowerPanel 10 supports both Windows CE and Windows XP Embedded targets a broad range of applications such as digital signage, medical equipment, and human-machine interfaces (HMIs), according to the company. Es un articulo interesante y pues me gustaria saber si puedo referenciarlo desde mi pequeño blog.